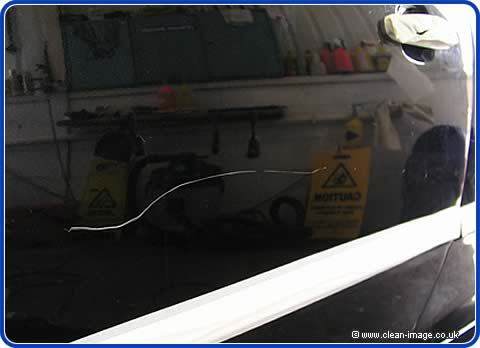 We had a call form Matt Saunders of Autocar magazine asking us about what could be done to repair key scratches that were on a Vauxhall Astra test car which had been vandalized while in their possession. Well, Gary got chatting with Mr Saunders and told them about all the wonderful things going on here, so Matt decided to bring the car down. 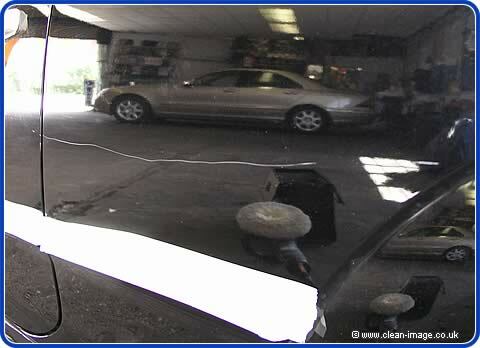 The car is the subject of a series of articles so if we could do anything to repair the scratches we would get a mention as part of the ongoing saga. ...which carried on across the rear quarter. 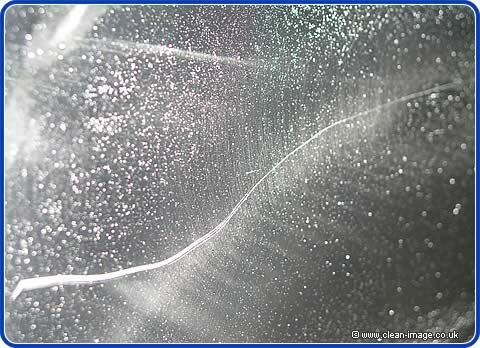 The scratch was almost continuous - so light to be barely visible in some places, deep in places and wide in others. 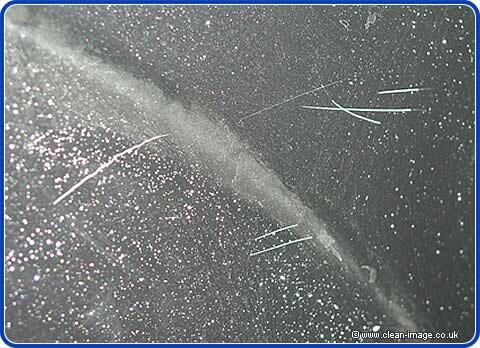 There were also so small scuff marks on the front wheel arch which we very visible. This photo was taken with the flash on to cut down on background reflections. This fourth photo shows the scratch in the middle of the door again. The flash photography also shows up swirl marks. The scratch is quite broad towards the far end but not very deep.